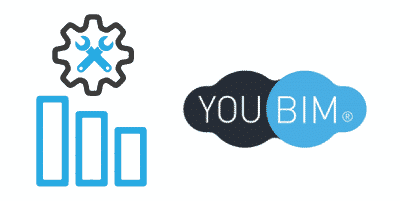 YouBIM has API’s for integration with CMMS/CAFM, BAS/BMS or other systems. Each Integration is different and the Implementation Team will always analyze what are the use cases that the Client envisions for its facility and from there the type of integration is been decided. Properties often have sophisticated Facilities/Maintenance Management solutions than not only manage Work Orders and Preventive Maintenance processes but also every aspect of the building operations Life Cycle. YouBIM is able to integrate with systems such as PLANON-FM, IBM MAXIMO, TMA, INFOR, TRIRIGA to name a few. Building Management Systems (BMS) or Building Automation Systems (BAS) are becoming more and more prevalent to assist facilities managers in the operations and management of their facilities. YouBIM integrates with many existing Building Management Systems such as NIAGARA, JOHNSON CONTROL, SIEMENS, HONEYWELL to name a few. YouBIM intends to integrate the most relevant sensors data points with other building information to allow quick diagnosis of building performance. This module allows a quick overview of performance of equipment when YouBIM is integrated with BAS. Assets performance can also be viewed in the model (i.e. : Room with temperature out of range, or AHU with certain parameters out of range).